A confession: I have fallen head over heels for this shade of red. Burgundy? Maroon? Rosewood? I like "Wine," personally. I think it captures the sophistication of the hue. After unearthing an old nail polish in this tone, I went shopping and came home with wine tights, a wine skirt, and daydreams of Valentine wine in this "port" scalloped dress. 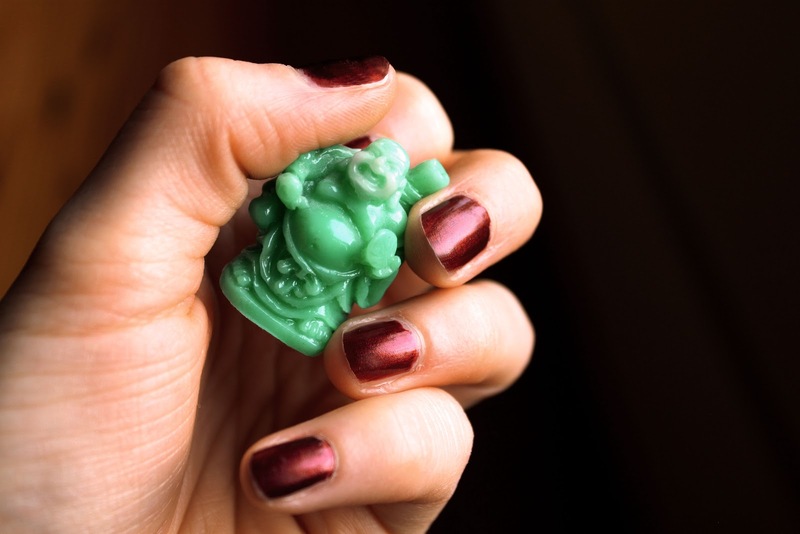 Wine pairs well with lighter muted colors -- dusty blues, warm beige, creams, roses, and rich browns -- but my favorite is with the stunning jade of this Buddha. Simply elegant!